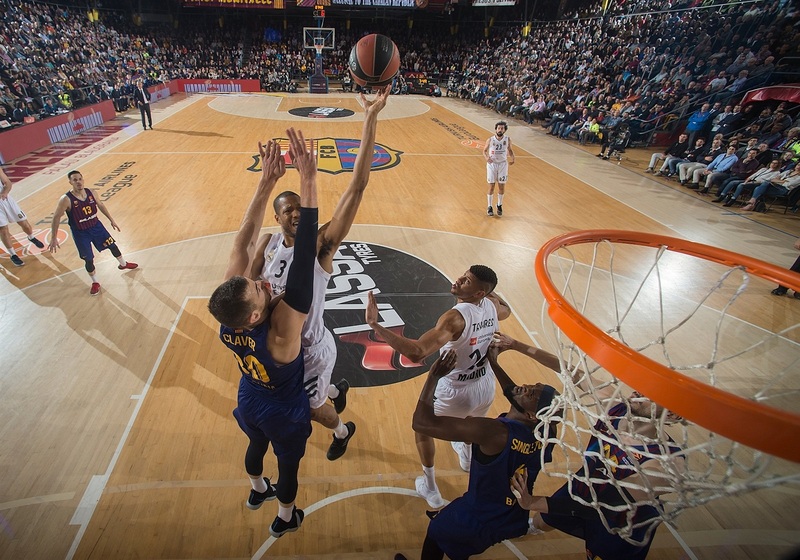 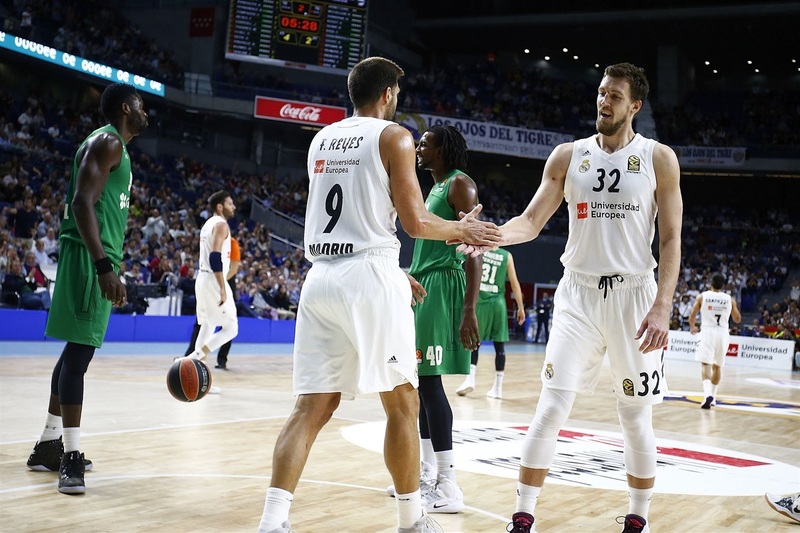 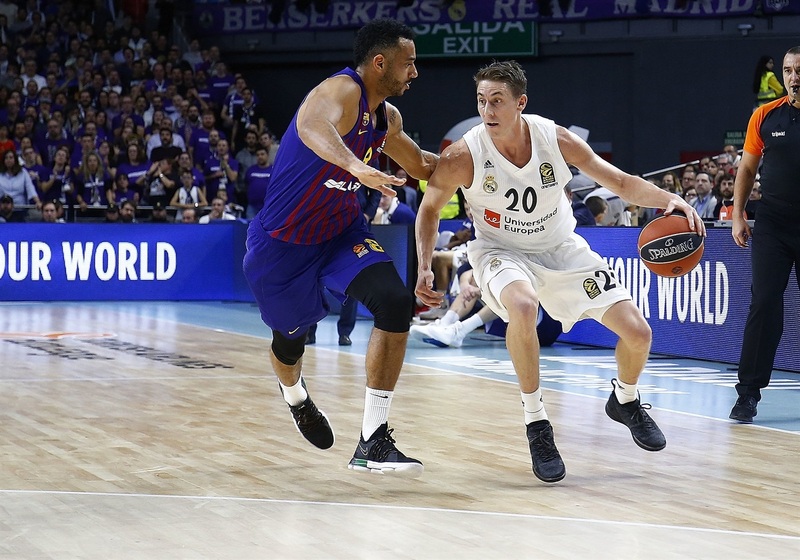 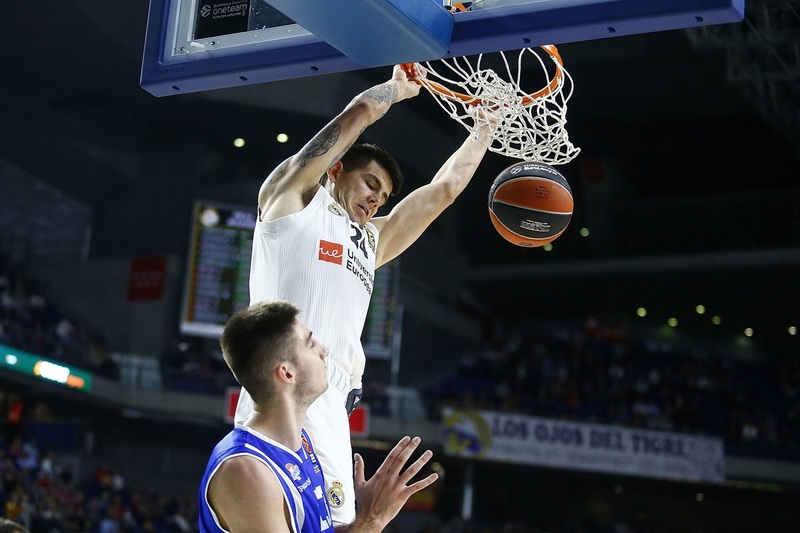 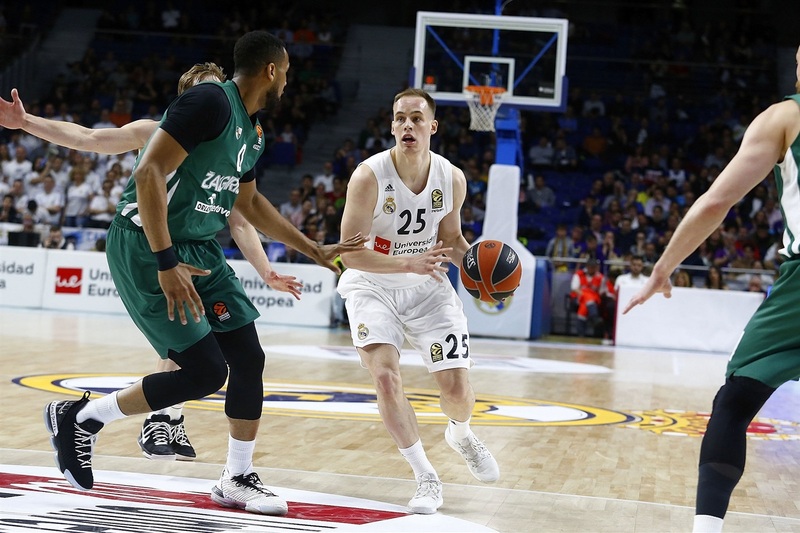 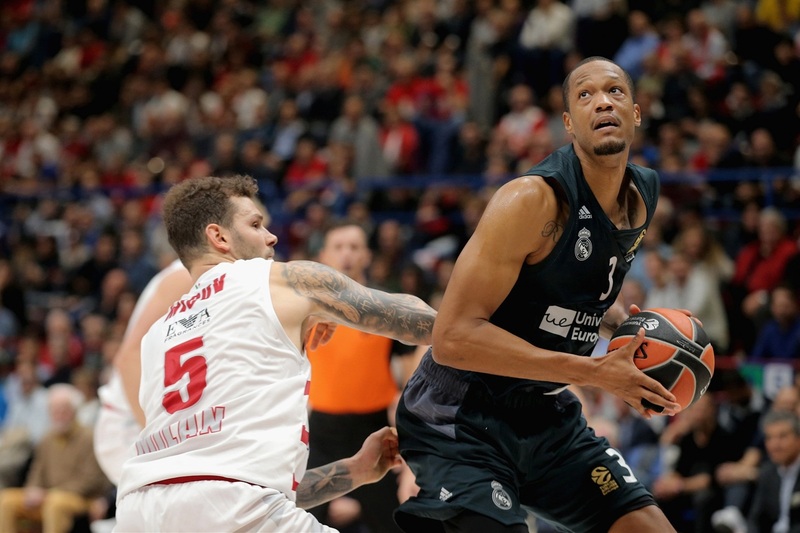 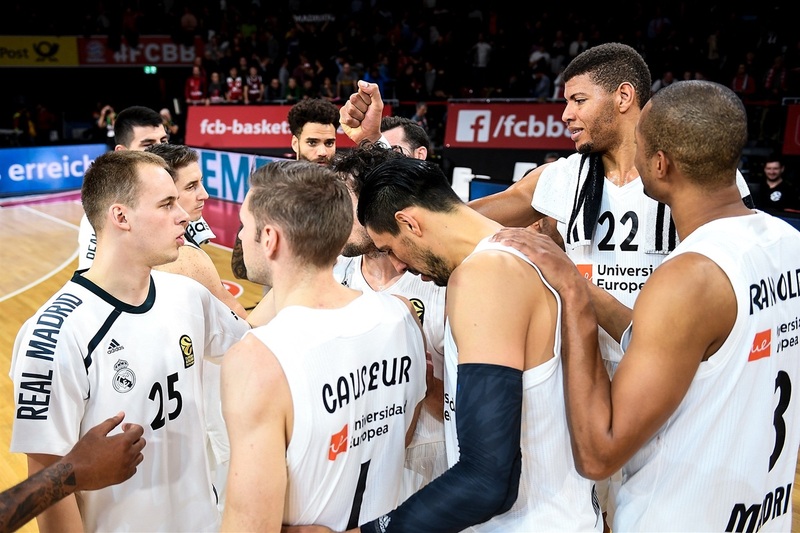 Los Blancos won their first eight games of the season, opening the campaign by scoring 109 points against Darussafaka Tekfen Istanbul and then winning by 18 over KIROLBET Baskonia Vitoria-Gasteiz and by 34 over Buducnost VOLI Podgorica. 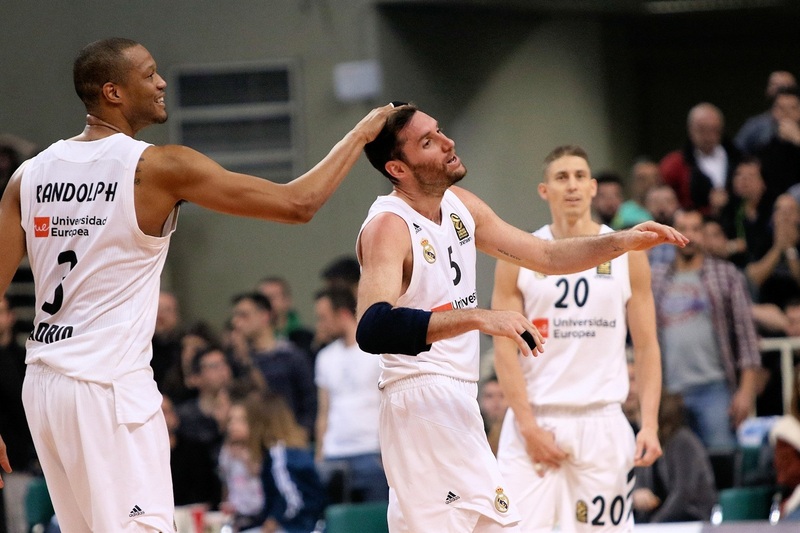 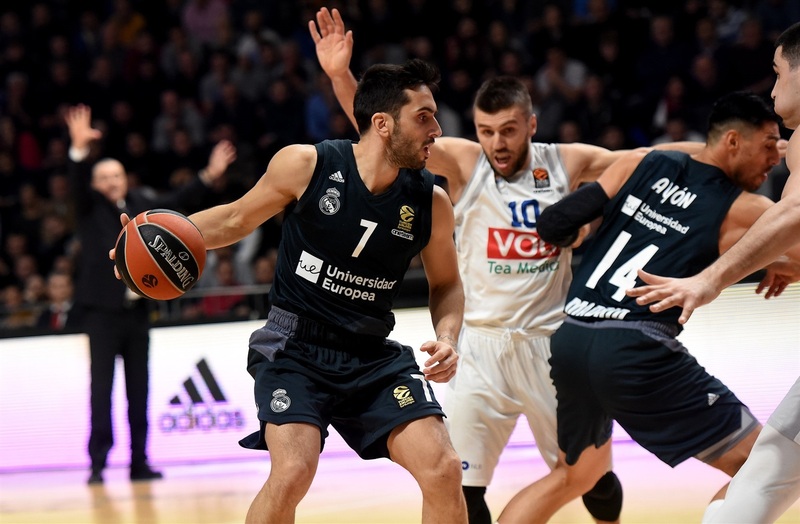 Madrid came up big on the road, too, downing Zalgiris 79-90 and beating Maccabi 66-87. 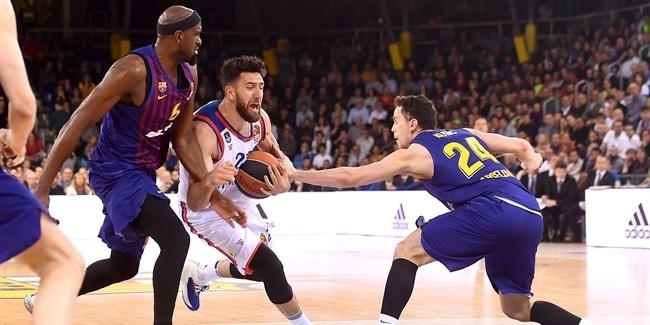 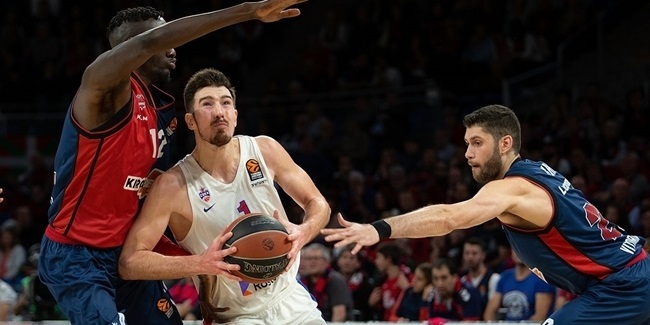 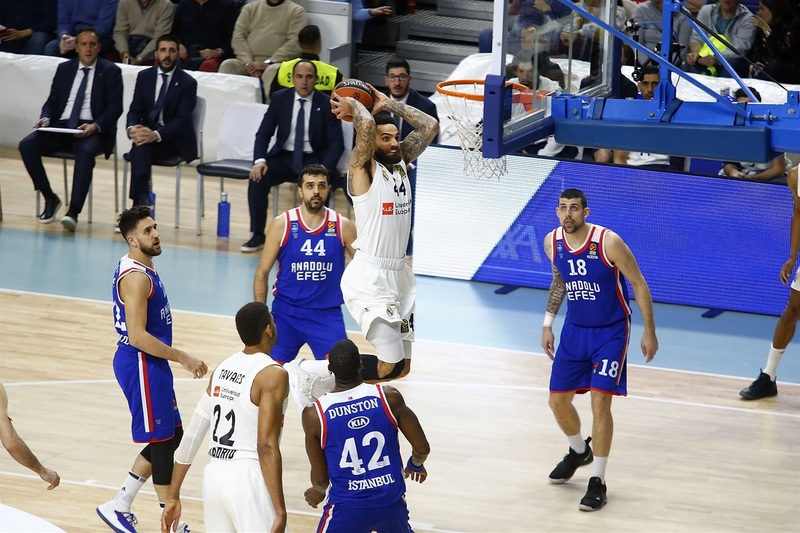 A 13-game winning streak, which dated back to last season's playoffs, ended in Round 9 at Olympiacos and a home loss against co-leader CSKA Moscow followed. 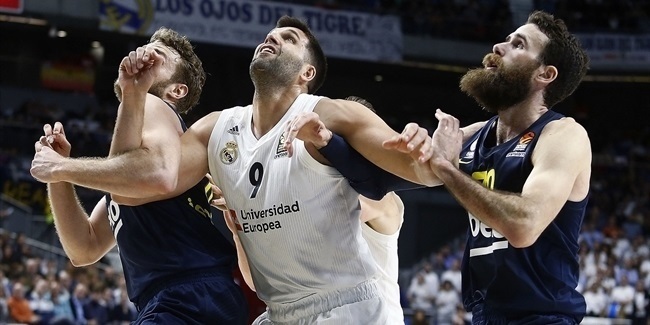 But Madrid never dropped below third place the rest of the season and fortified its position in the standings by registering four consecutive wins, a streak that started with a come-from-behind 82-84 win at Anadolu Efes Istanbul and also included thrashings of FC Barcelona and Panathinaikos OPAP Athens at home by 27 and 21 points, respectively. 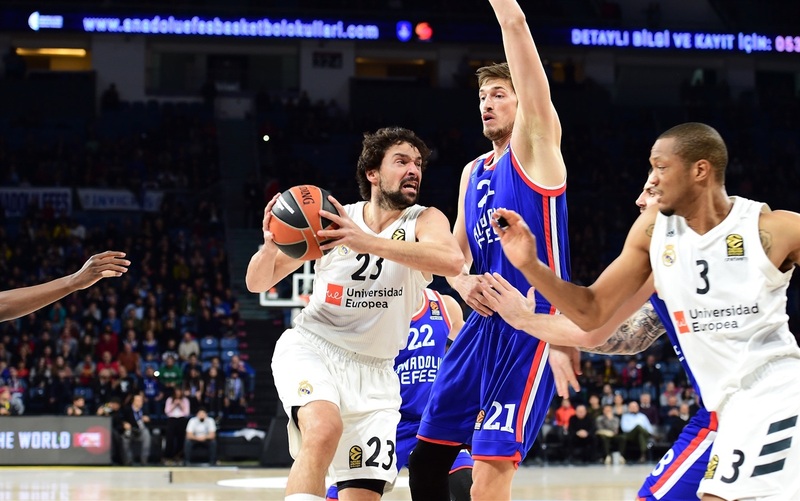 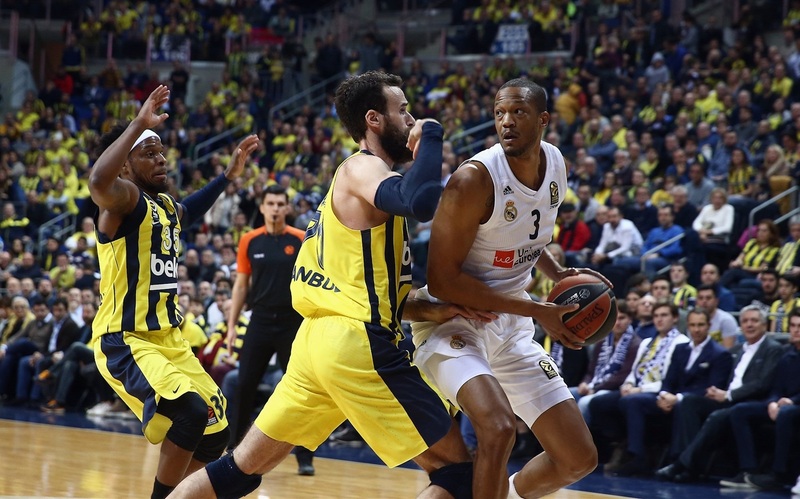 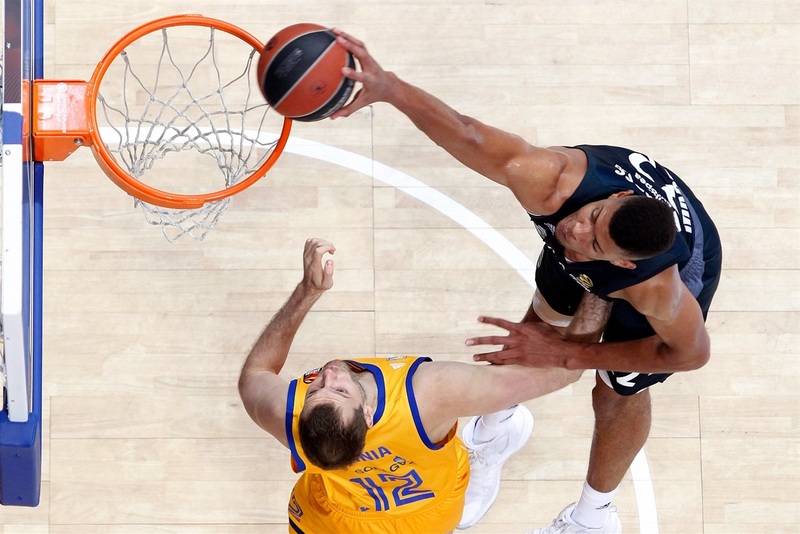 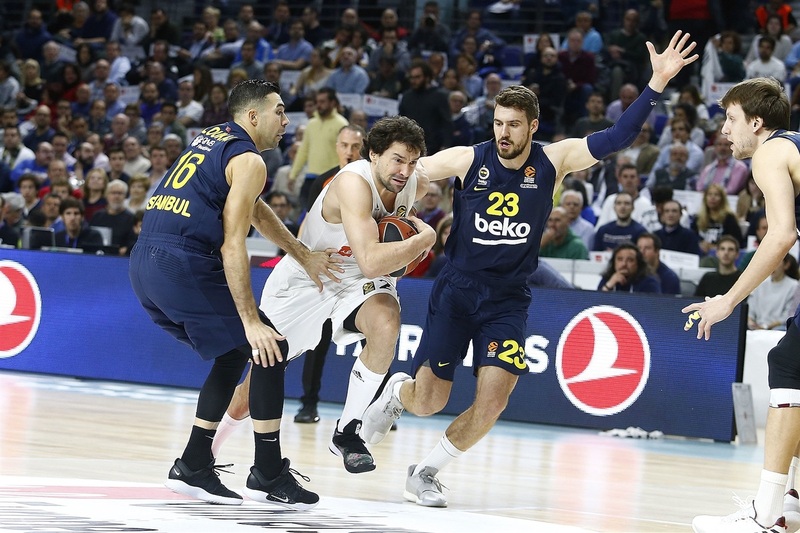 A dramatic road loss at Fenerbahce Beko Istanbul in Round 15 had Madrid holding a 12-3 record halfway through the regular season, but five wins in the next six games – including those over Olympiacos and Efes at home – improved the team to 17-4 going into the final stretch of the season. 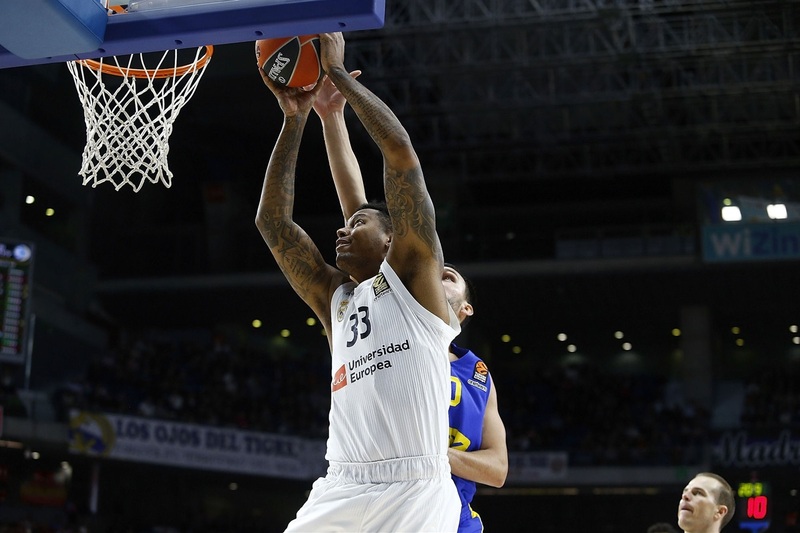 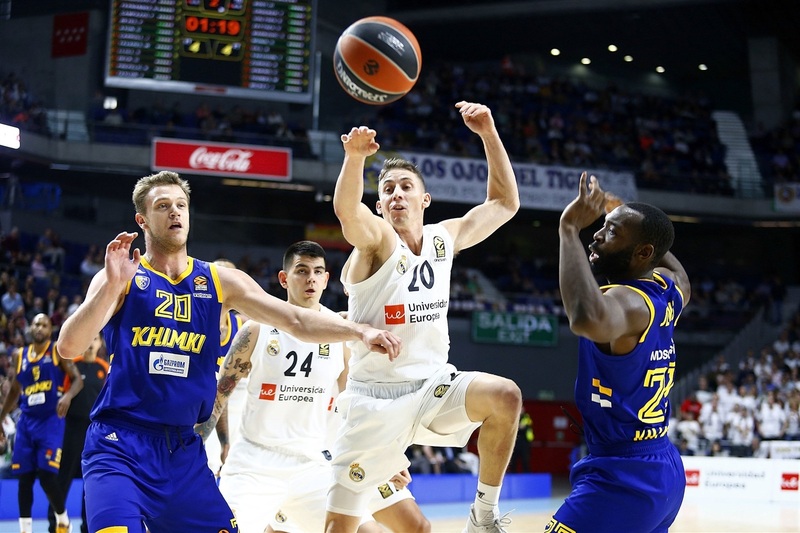 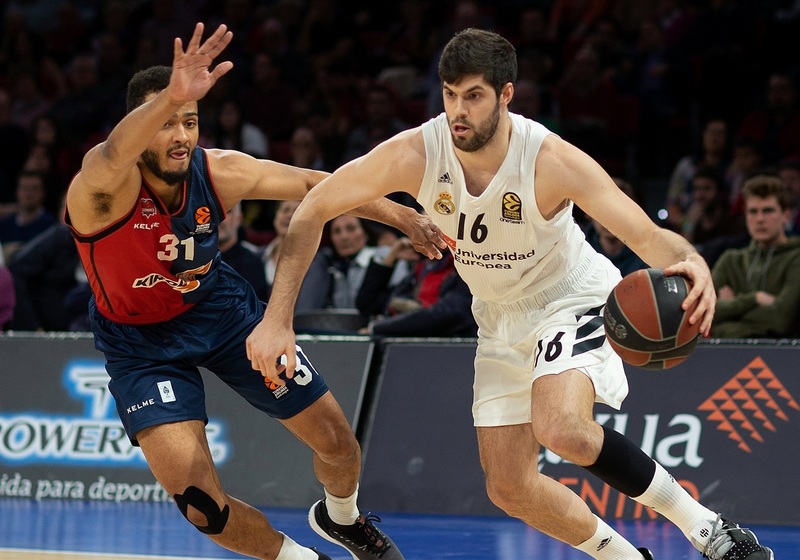 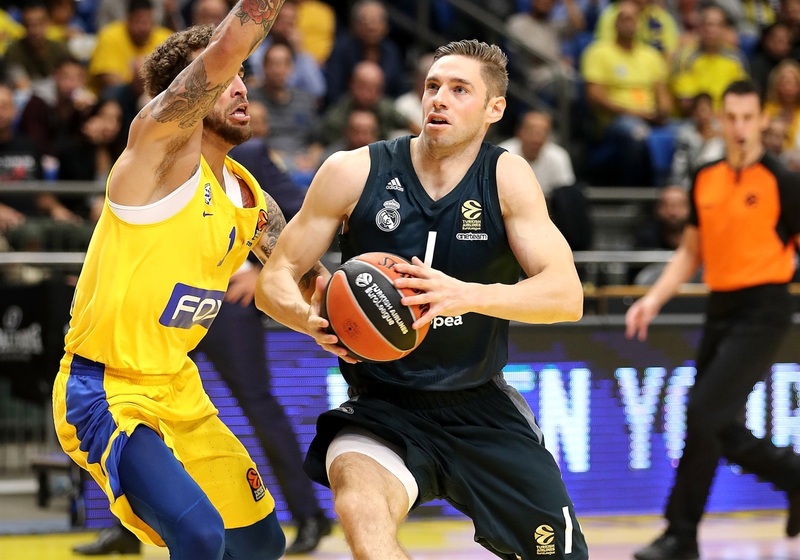 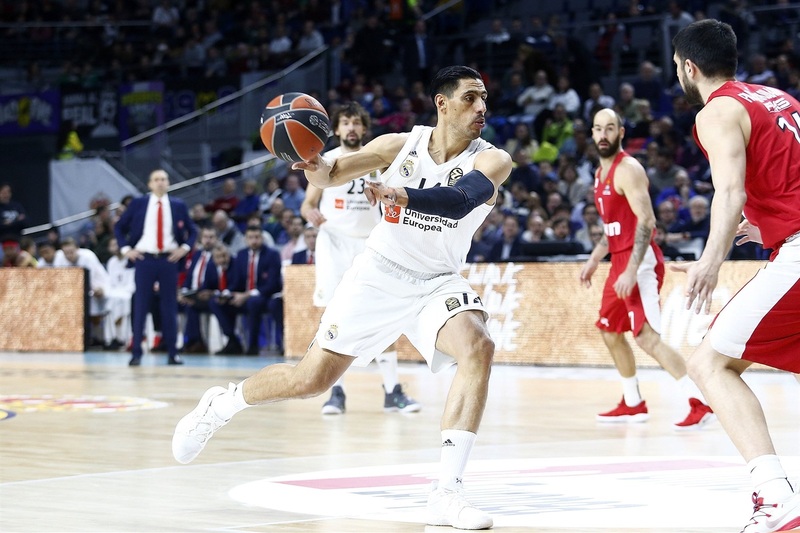 Madrid secured a playoff ticket already in Round 23 after a home win over FC Bayern Munich and sent a message to the rest of the competition by dishing 29 assists in a big 101-86 win over league-leading Fenerbahce. 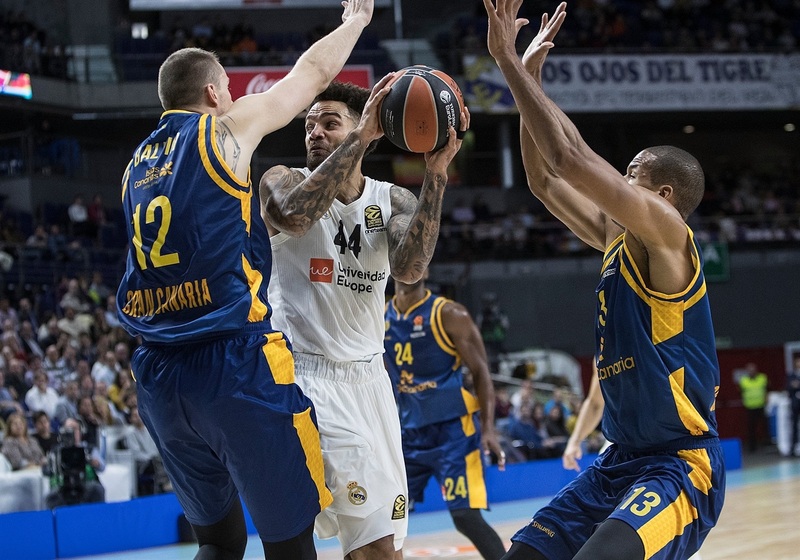 A 75-100 road win at Khimki Moscow Region secured Madrid home-court advantage in the playoffs with four games to go. 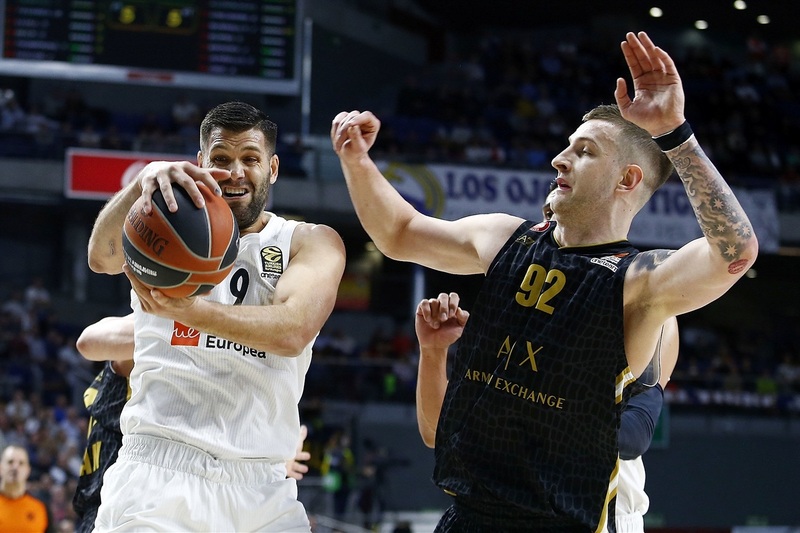 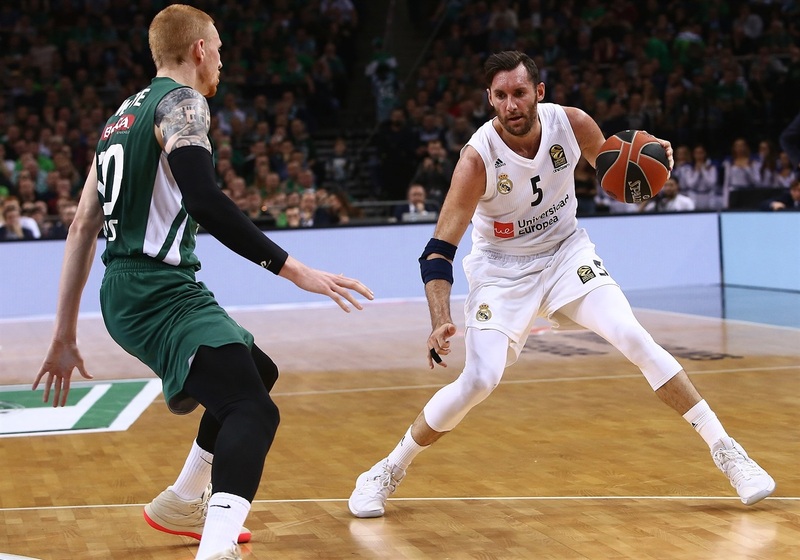 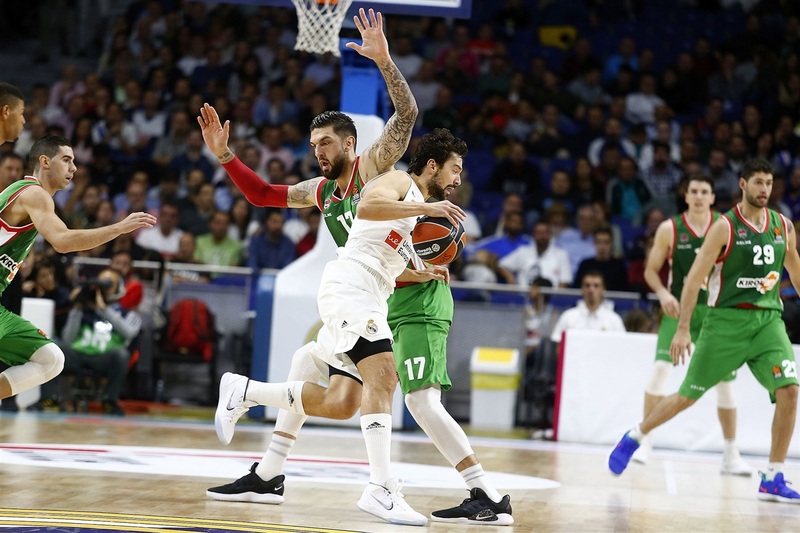 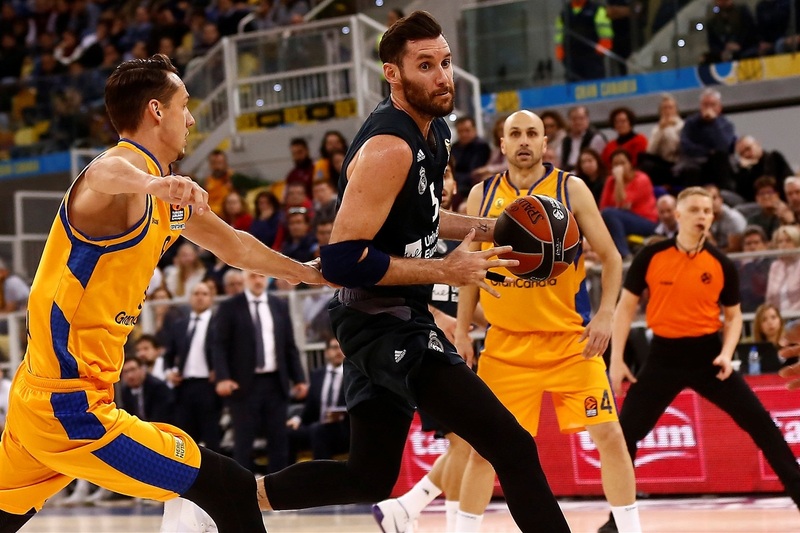 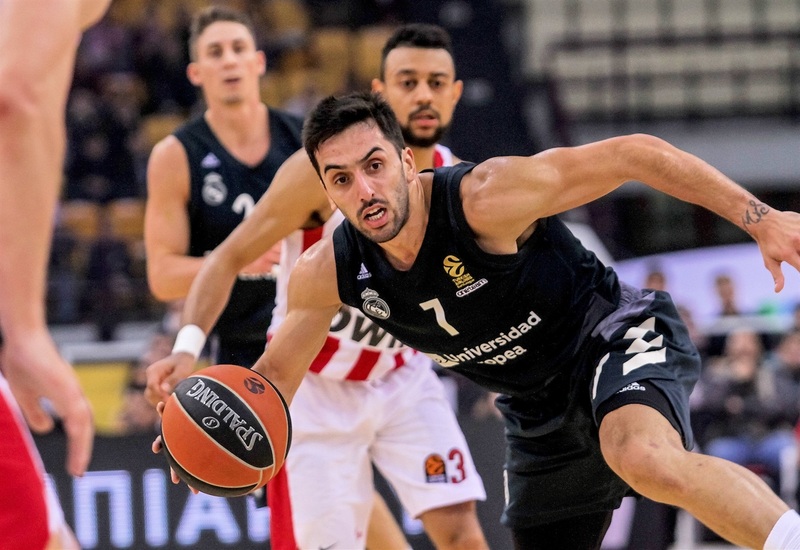 In the final four rounds, Madrid managed to mount a pair of 18-point comebacks against teams in the playoff hunt, first at home against AX Armani Exchange Olimpia Milan and then in the penultimate round on the road against Panathinaikos on an incredible buzzer-beating triple from Rudy Fernandez. 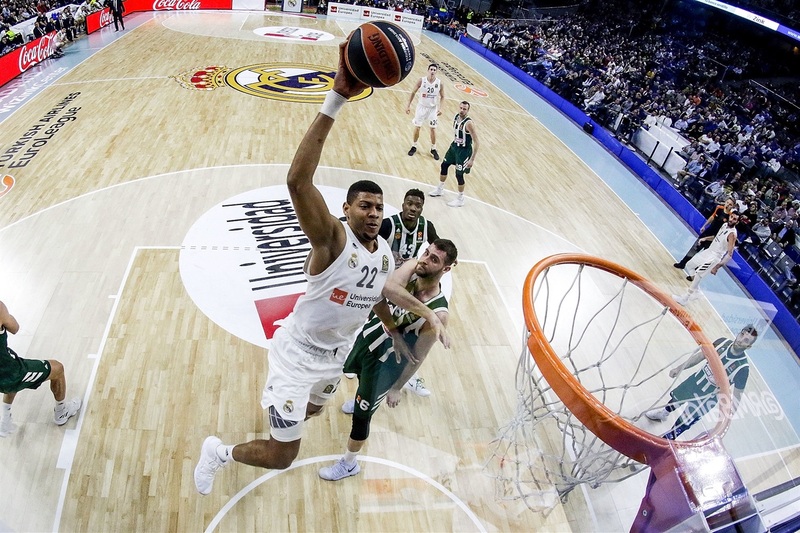 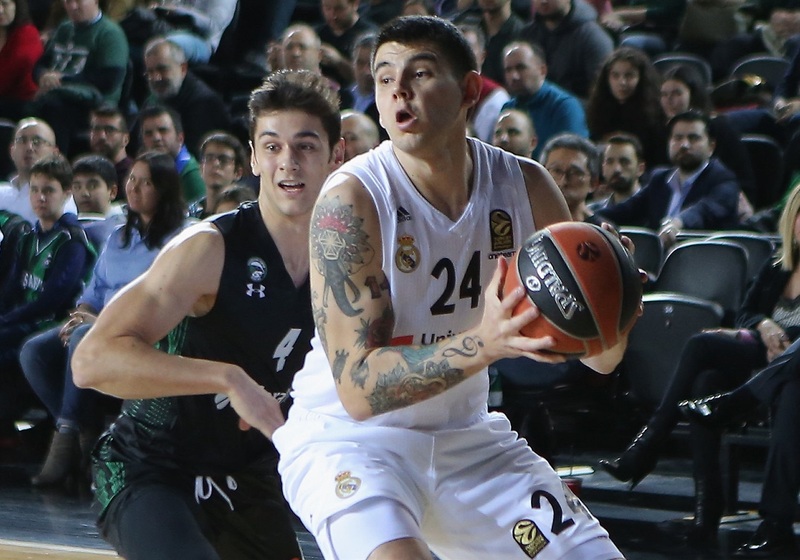 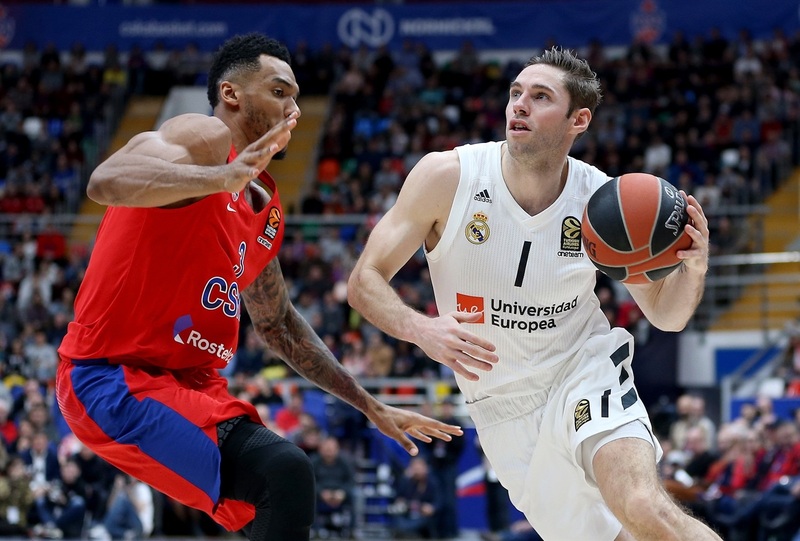 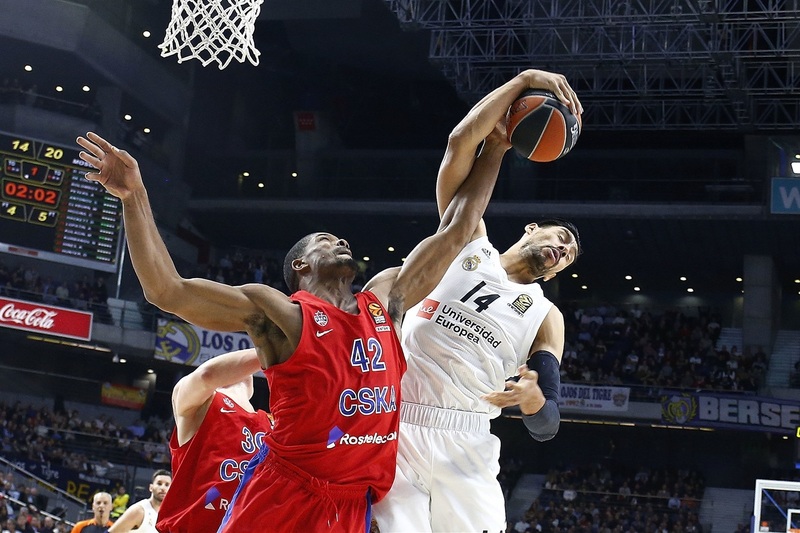 As defending champion and one of three most dominant teams this season, Madrid will be proud to have plenty to say in these playoffs as it readies for a repeat of last season's playoff clash against Panathinaikos.